I had been wanting to read this book for a while, because the premise sounded really unique and intriguing. I have never read any books about Sandmen before and I saw a lot of great potential in this story. However, I must admit, the book was a little bit of a let down for me. However, I would like to start off with things that I thoroughly enjoyed about this book. First off, like I said, the concept was extremely unique. In a world where young adult fantasy books are everywhere you turn, I have to give the author huge credit for coming up with such a different topic. Also, on top of the fact that the subject matter was unique, it was also intriguing. I wanted to know more about Eron's universe and was eager to learn more about him. "He holds the mall door open, and just as I'm thinking, Oh, how sweet, he extends the crook of his elbow to me. I stand there for a moment, wondering if he's just trying to check the time on his wristwatch, but then I realize he isn't wearing one. Tentatively, I put my hand on his forearm, and he claps his hand over it, just like in those old-time movies. We're strolling. People are staring at us." Isn't that just adorable? They are strolling! 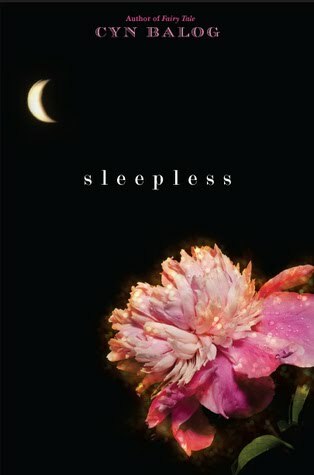 Now, on to the things that bothered me about Sleepless. The first of which, was Julia. I just could not connect with her, no matter what I did. I just did not find her character to be interesting, in fact I found her rather drab. I really take issue to this, because she is one of the two main characters in the book. I also had a problem with the story; the ending in particular. Just as it was picking up speed, it abruptly ended. I thought that the way in which Griffin "let go" of Julia was completely out of character.I don't want to spoil anything for anyone, but Griffin's actions in the very end were completely out of character. He is made out to be super possessive and he definitely would have put up more of a fight. Overall, I did enjoy Sleepless. I just didn't love it. It was a quick read and the premise was interesting, but it did not pull me in like I had hoped it would.